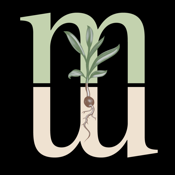 The Melinda Myers app provides you with relevant and up-to-date gardening information wherever you go. It's like having award-winning horticulturist Melinda Myers with you at all times! Listen to Melinda’s podcasts, watch her videos and read her blogs to stay on the cutting edge of the latest gardening trends and information; learn planting and care tips to keep flowers, edibles, trees, shrubs and lawns healthy; and discover design ideas and techniques that will keep your landscape looking its best all year long! Plus, you can sign up for Melinda’s newsletter and email blasts, check out her latest books & DVDs and stay up to date on her event appearances.